South Shore to Vik Private Tour includes a drive along the south coast of Iceland which is one of the country’s most scenic regions and on this tour, we will drive as far as the charming village of Vík. We start by visiting the Lava Center museum where you can examine the various volcanic, eruptions and lava flows, volcanic and rift systems, faults and glacial floods that make Iceland a showcase of volcanism. This is a great way to start the day since we will be driving much of the area that is explored at the Lava Center. Along the way, we stop at the gorgeous 60m (196 ft.) high Seljalandsfoss waterfall, which is unique since you can walk behind it and through to the other side. 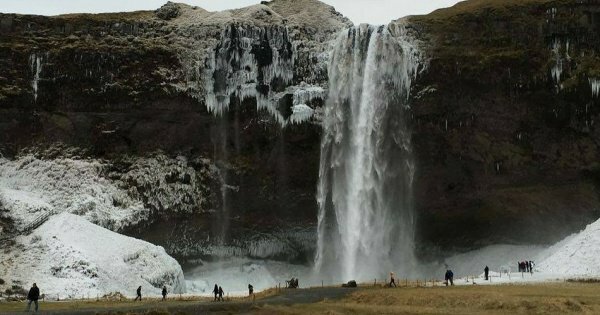 Our next stop is at the majestic and much-photographed Skógafoss waterfall, with its 60 m (196 ft.) drop. Other highlights include the stunning Solheimajokull glacier, and the black sand coastline and impressive Reynisdrangar rock formations, near Vík. If you do not add any activities to the tour, we will visit some extra sights and since this is a private tour, we can custom the tour to your needs. The activities which can be added to this tour for an additional fee include Glacier Walk, Glacier Walk and Ice Climbing, Snowmobile tour at a Glacier or ATV Tour.